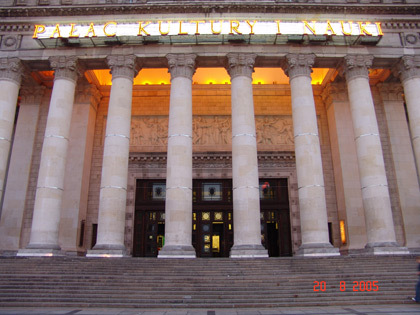 The Palace of Culture and Science was a "gift of the Soviet people to the Polish nation". 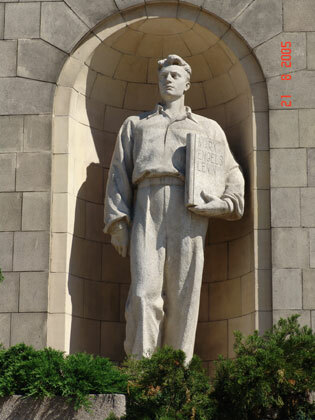 Its architecture is a typical socialist-realist one, as other Stalinist skyscapers (such as the State University on Moscow). However, the architec, Lev Rudnyev, said he incorporated some traditional Polish elements into the Palace's structure. The construction began in 1952 and the building was finished in 1955; 3,500 workers built it and 40 millions of bricks were used. It has a height of 230m, plus a 43m-tall antenna, so its overal height is 273m. 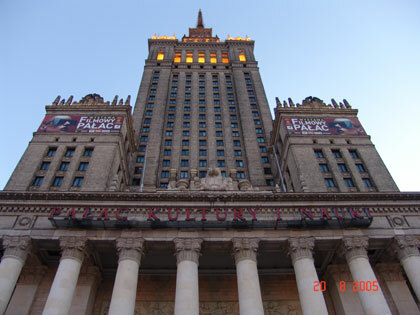 The palace contains 3,288 rooms and hosts a theatre, a cinema, the museum of the technique, an auditorium with up to 3,000 places and, on the 30th floor, a terrace which offers a nice view of the city. 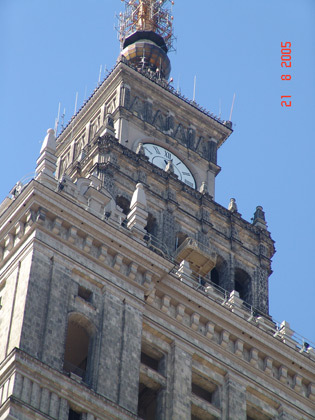 In 2001 was added the clock which makes the palace the second-tallest clock tower in the world (after NTT DoCoMo Yoyogi Building in Tokyo). 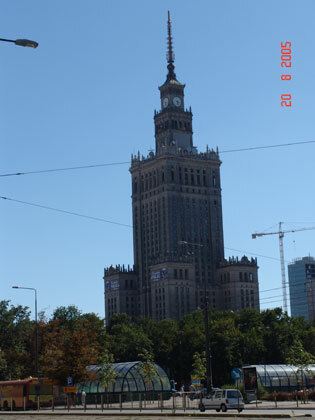 As it was achieved in 1955, the palace was the second-tallest construction in Europe, after the Eiffel Tower. Nowadays it is the sixth tallest skyscraper in Europe (after the Triumph-Palace in Moscow, the Commerzbak-Tower and the Messe-Turm in Frankfurt-am-Main, the State University in Moscow and the One Canada Square in London); it is ranked 158th in the top 200 tallest skyscrapers in the world. 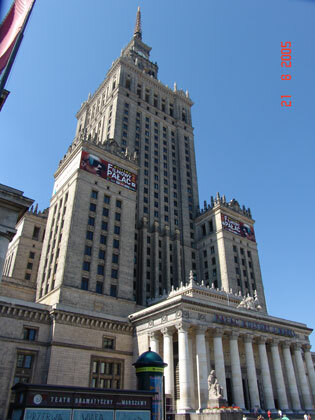 Although still very controversial, the palace is today undoubtedly the symbol of Warsaw.